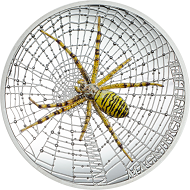 October 25, 2018 – Coins mirror their era, as does “Skull”, the new hit series of the Liechtenstein think tank CIT Coin Invest AG. 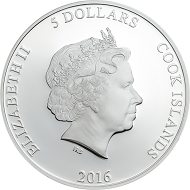 It is the most radical implementation of a trend which can be perceived at other mints as well – the invasion of horror, first into everyday life, then into numismatics. Today Halloween is celebrated all over the world. But we do we enjoy scaring ourselves? Photo: Beth Teutschmann on Unsplash. 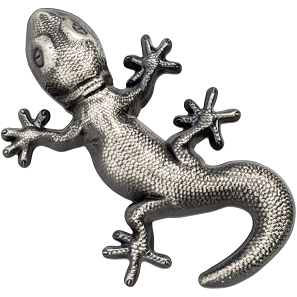 Let’s take a look at the animal series from the Austrian Mint, which comes across quite harmless. But first, ask yourself which kinds of animals you would have visited in a zoo with your children or grandchildren a few years ago. 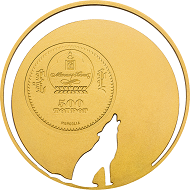 Surely, such creatures as were depicted on the 5-euro coin in 2002, issued by the Austrian mint on occasion of the 250th anniversary of the Vienna zoo “Tiergarten Schönbrunn”: penguins, seals, bears, lions, chimpanzees, owls, elephants and giraffes. The owl is the only animal that made it into the Austrian Mint’s new animal series. The others must have been deemed too boring to awaken collector’s desires. Thus, the first animal of the series in 2016 was the bat. Which would be quite a strange choice, if the small mammal didn’t point far beyond itself: For centuries, it has been the symbol of demons in visual arts. Since the Dracula movies, we know that vampires love to turn into bats. And that is only one aspect that makes bats such fascinating creatures. 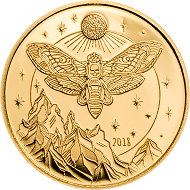 The glow-in-the-dark technology, where luminescent ink is pad-printed onto the coins, takes full effect with this theme – another pro-argument for the bat. The same applies for the wolf, which came out as the series’ fifth animal in 2017. It is howling at the moon, alluding to today’s popular werewolf theme. The howling wolf from the “Mongolian Nature” series of 2013. 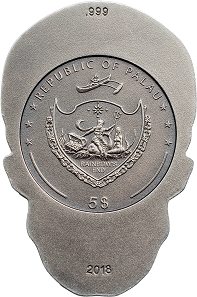 The very emotional depiction together with the innovative cutting technique developed specifically for this series earned this coin the COTY award for “Most Innovative Coin 2013”. Of course, the Austrian Mint wasn’t the first mint to recognize this trend. 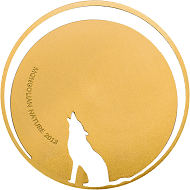 As early as in 2013, Coin Invest had great success with the “Crying wolf” coin issued for Mongolia. 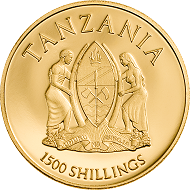 It even received the Coin of the Year Award for the “Most Innovative Coin” in 2013. Wasp spiders, death’s-head hawkmoths, geckos, cobras or poisonous tree frogs – today’s collectors want animals that, a few decades ago, would have been called “gross” at least. The reason our perception of these animals has changed so much lies in the mass media, especially television. Since when do we enjoy being scared? In Germany, private media conquered the screen in the mid-eighties. With as little effort as possible, they needed to bring large and (for PR agencies) attractive groups of buyers in front of the TV. So the popular animal documentaries focused on a menagerie of superlatives: the most poisonous snake, the most dangerous shark, the deadliest lizard. Naturally, the public channels didn’t stay behind: They countered with the same animals, but rather showed their beauty. Another genre that was popular with the private channels (and cheaply acquired) were horror movies, thrilling young people at a late hour. They were especially attractive for the advertising industry. And the political discussion about whether the extreme violence wasn’t harmful for adolescents only made these movies all the more exciting. People who are between 50 and 65 years today have grown up with horror movies and associate those not just with the undead and blood baths, but with wonderful teenage memories of movie theater and TV nights together. One step further on the path of horror is the death’s-head hawkmoth issued in 2018. It is both fascinating and horrifying. With the rise of video stores, the offer of horror movies grew even further. And with the Harry Potter novels at the latest, the world of spookiness reached mainstream. Novels for adolescents and adults cover the lives of werewolves, vampires, ghosts, zombies and whatever else there is in scary scenarios. At a time where even an animated movie without age restriction like “Coco” brings skeletons and skulls to life and is rewarded with an Academy Award for Best Animated Feature, objects like the skull that once were afflicted with horror have become mainstream. 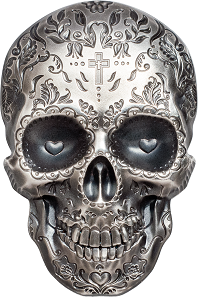 The “Skull” series comes in several sizes. 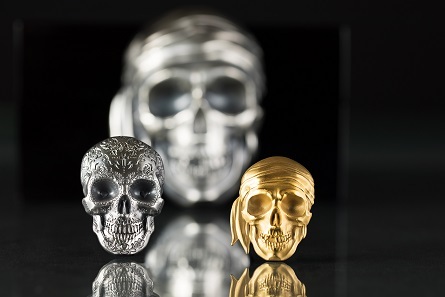 Alright, so skulls are trendy, which is why the unusual series of the same name became a hit, whether as small gold coin at a weight of .5 grams, as silver high-relief strike weighing one ounce, as “Big Skull” at a weight of 500 g in silver or as golden skull weighing one ounce. The items are sold out faster than they can be designed and struck. The latest edition “La Catrina Skull” promises to be as much of a sales hit as “Skull” and “Pirate Skull”, the first two editions of the series. By the way, the latest edition commemorates the Mexican Day of the Dead (Día de Muertos), which, thanks to Pixar and their animated movie “Coco”, is now also known to German children. “La Catrina” has become its symbol. In fact, the Day of the Dead is no new concept. In Germany, too, for more than a thousand years now, the holidays “All Saints’ Day” and “All Souls’ Day”, introduced in 998 by Abbot Odilo of Cluny, have been celebrated on the 1st and 2nd of November respectively. Only, in German pastry shops, you won’t (yet) find confections in the shape of skeletons and skulls. Halloween, a new German tradition? Up until a few decades ago, in the German-speaking countries, the celebration of All Saints’ Day was part of the family inventory. The extended family came together and visited the graves of the deceased family members. But since the nineties, church festivities have been declining. They are leaving a void which, according to Prof. Dr. Gunther Hirschfelder, professor of Comparative Cultural Studies at the University of Regensburg, is filled by the Halloween festival, which has its origin in the English-speaking world and has been made known by the help of television and novels. The carnival expert group of the Deutscher Verband der Spielwarenindustrie [German toy industry association] claims to have been responsible for popularizing Halloween; I dare say that is a case of hubris. When, in 1991, carnival was cancelled due to the beginning of the Gulf War, they thought about how, in the future, the risk of costume manufacturing could be distributed over more than just one season. Thus, in 1994, a Halloween campaign was started. But no advertising campaign in the world would have been able to make this festival so popular if there hadn’t been a need and a void for it among large parts of the population. 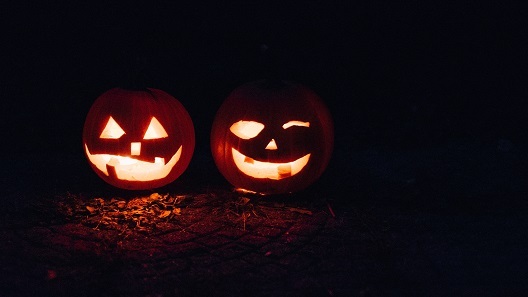 Today, Halloween is a big business, especially for the sweets industry, which, in Germany, by now makes a third of its annual turnover in the days leading up to Halloween. 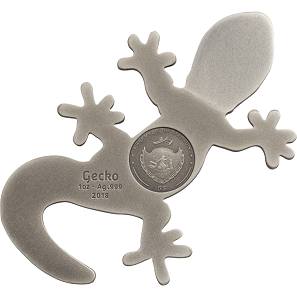 The gecko – an unusual coin edition which comes in an unusual packaging. Bats, wasp spiders, skulls, geckos or death’s-head hawkmoths – the wave of the spooky has opened our eyes for the beauty that lies hidden in dangerous animals and formerly tabooed objects like the skull. It should come as no surprise that this discovery has reached numismatics, too. To see more images please visit the CIT Coin Invest website. And we have been presenting many coins designed by CIT Coin Invest Trust AG in the last years. Check out our archive!